The UK can unilaterally revoke its withdrawal from the EU, according to a European Court of Justice Advocate General's legal opinion. Instead, he said Article 50 allows the "unilateral revocation of the notification of the intention to withdraw from the EU, until such time as the Withdrawal Agreement is formally concluded". The opinion, which is not binding on the court, comes just a week after the case was heard at the ECJ following a referral from Scotland's highest civil court, the Court of Session. A statement from the ECJ said: "In answer to the question from the Scottish court, the Advocate General proposes that the Court of Justice should, in its future judgment, declare that Article 50 TEU allows the unilateral revocation of the notification of the intention to withdraw from the EU, until such time as the Withdrawal Agreement is formally concluded, provided that the revocation has been decided upon in accordance with the member state's constitutional requirements, is formally notified to the European Council and does not involve an abusive practice." Those who brought the case argued unilateral revocation is possible and believe it could pave the way for an alternative option to Brexit, such as a 'People's Vote' to enable remaining in the EU. 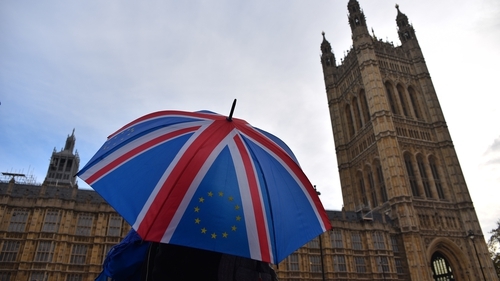 Legal representatives for the UK government argued the case is inadmissible as it deals with a hypothetical situation, since the government's policy is not to revoke Article 50. Lawyers representing the Council of the European Union and from the European Commission argued revocation is possible but would require unanimous agreement from all member states. At the hearing last week, Aidan O'Neill QC, representing the politicians who brought the case, said they need to know all their options on Brexit, including whether the UK can unilaterally halt the process ahead of critical votes on the withdrawal agreement. Advocate General for Scotland Lord Keen QC, representing the UK government, said the case is a "hypothetical validity challenge" and those behind it seek "political ammunition to be used in, and to pressure, the UK Parliament". Hubert Legal, representing the Council of the European Union, said allowing unilateral withdrawal could lead to "disaster", of which "the main victim could be the European project altogether". He said Article 50 is "not ambiguous", adding: "The prerogative of acting alone will have been exhausted by putting the notification letter on the council's table." Meanwhile, the UK parliament today begins five days of debates before voting next week on the proposed Brexit deal agreed by British Prime Minister Theresa May with the EU.